KTUA staff recently participated in two events back to back. 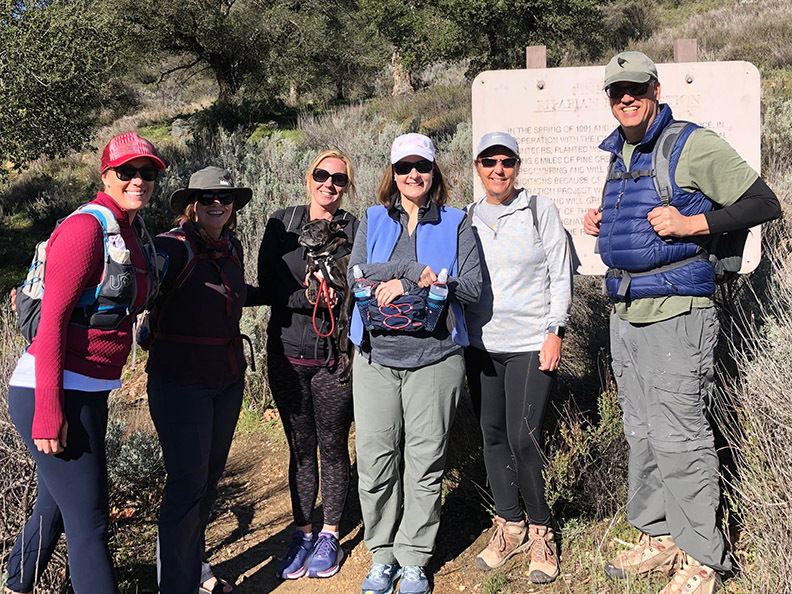 On Saturday, March 23, 2019, staff hiked a portion of the Secret Canyon Trail located near Alpine, CA. 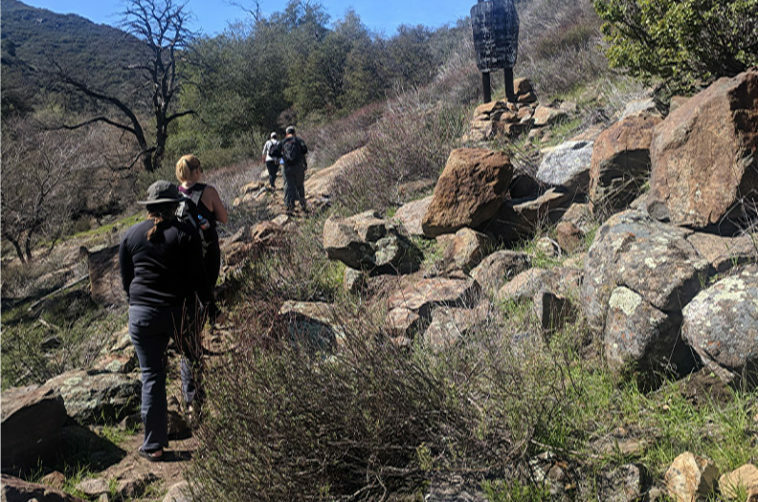 The Secret Canyon Trail traverses the length of the Pine Creek Wilderness south and slightly west of Pine Valley in the Cleveland National Forest. 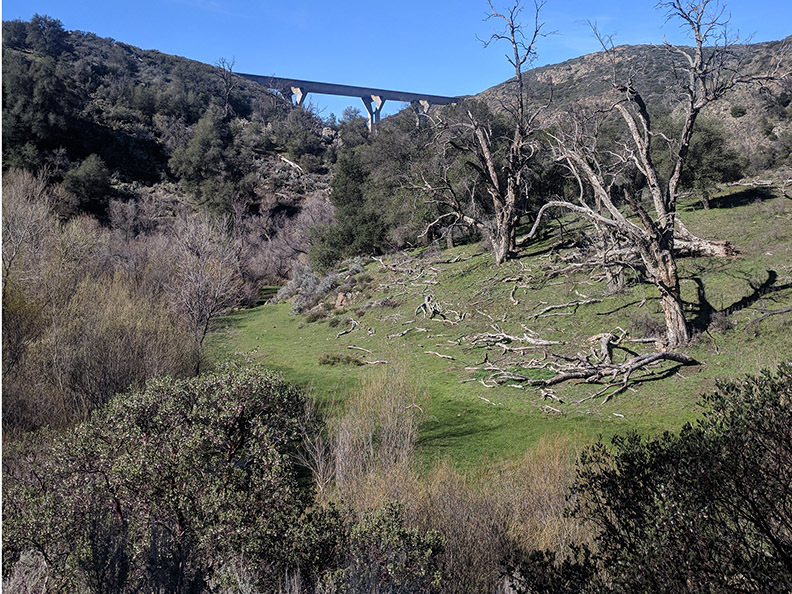 The trail along Pine Creek takes you under the I-8 bridge. Left to Right: Brooke Whalen, Aynsley Gilmour, Wendy Swaner (holding “Grover”, Nancy Kavanaugh, Sharon Singleton, and Chris Stebbins. 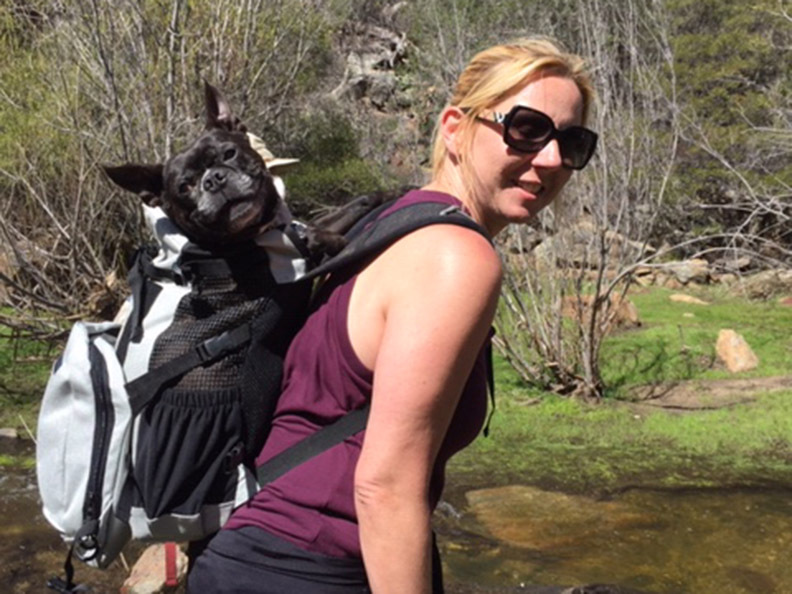 Grover on Wendy’s back getting a ride across the stream. 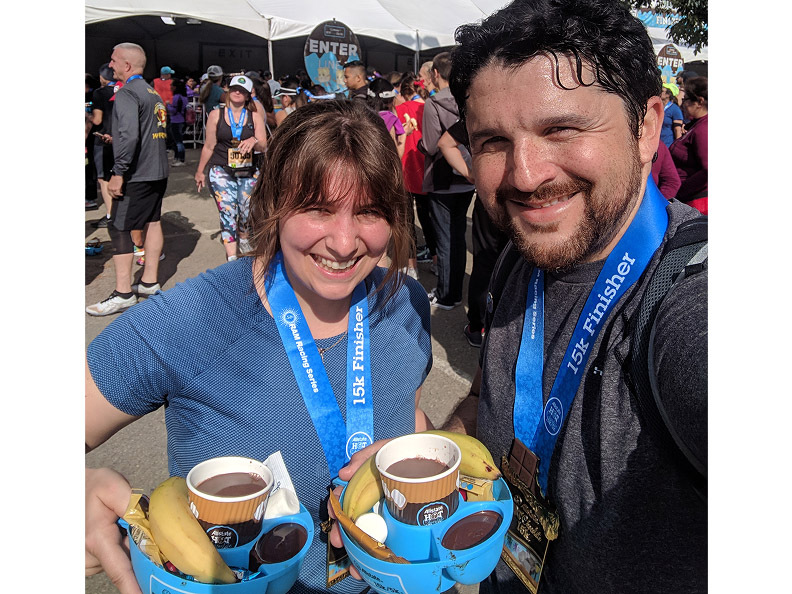 The following day, March 22, 2019, Aynsley Gilmour, Sharon and Mike Singleton, and Joe Punsalan with his wife Carmina and son Isaiah, completed the 15k Hot Chocolate Run!